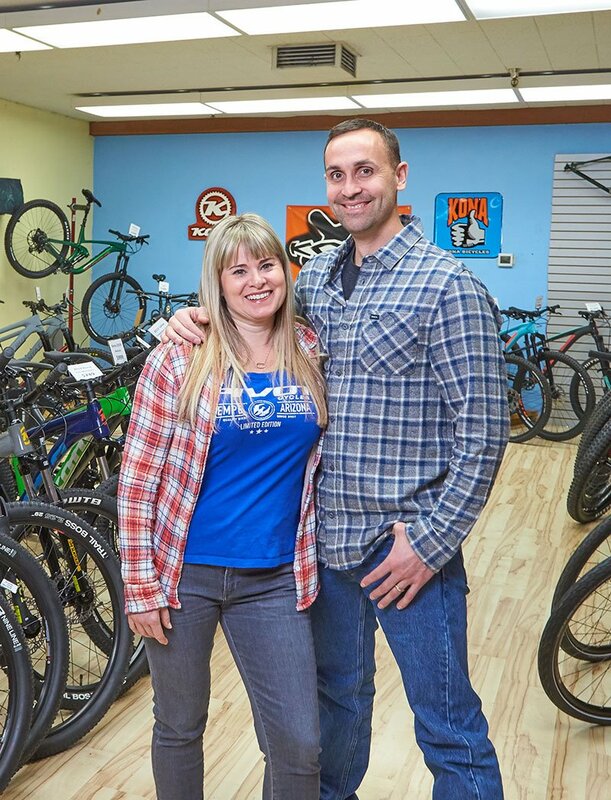 Growing up in Eugene and having been a cyclist since I was 18 years old, I had a good idea of what I wanted my own bike shop to look like before we opened in 2007. I asked myself then and continue to ask myself now “why would I want to go to Life Cycle”. This question continues to drive us to improve the customer experience. The whole concept revolves around friendly service and our staff’s vast experience. Without our capable and competent staff the shop is nothing. -We want our customers to feel comfortable when they visit us, and knowing they can count on seeing the same faces time and time again. -Our repairs are be done right the first time and in the event we make a mistake we make it right until the customer is satisfied. -We answer our customers’ questions accurately, courteously and provide value that you cannot replicate from an online store. -We go out of our way to help even when it may not be quick, easy or even profitable. -We strive to be a part of community whether it’s loaning a tube to a person hard on their luck to get their bike going again or doing trail work in our local area. -We deliver only the best products in the market not based on sales and profits but based on the products we believe in. -Our shop is filled with passionate cyclists that value the simple pleasure of riding a bike. We hope to extend our passion to you every time you come to visit us.